LookLocalWA's Perth directory puts you in touch with Ironing person specialists near you. With Wealth of Experience in the Drycleaning Industry, We Deliver Quality Services for Both Consumer and Commercial Sectors. In need of quick drycleaning service? We also provide &apos;Same Day Service&apos; ! With over 40 convenient locations, good chance there is one near you if you live in Perth Northern Corridor. Our Commercial Drycleaning and Laundry division can cater for your business requirement in whichever Industry you operate in. We customise processes to deliver your needs and ensure the Highest Quality at the most affordable and competitive price. 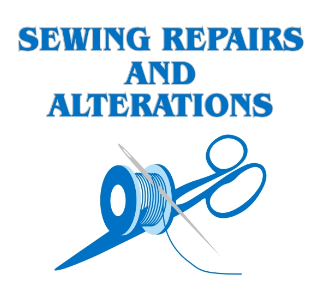 At Quality, our experienced tailor takes pride in excellence and quality results. Resize, restyle, repair works, personalised requirement; You name it !! Laundromat store is equipped with 24 x 7 CCTV surveillance cameras. Ask our friendly staff in store for more details. Too Busy to Drop-Off your Laundry Baskets? NO Worries !! We are in Partnership with WASHEM Laundry Service. Follow their simple online booking form, and we will come pick up and return them washed, dry, and folded, from your Front Door and Back Again. Your ironing needs taken care of. Quality, clean, reliable, prompt. $30 per average basket or price per item for smaller loads. Free pick up and delivery within Fremantle/Melville council precincts or $5 charge other areas. so you can enjoy the better things in life. Simply drop off and pick up your ironing, will generally be ready within 24 hours. Starch is optional. Please bring your own coathangers.